As Dalhousie University enters its third century we continue to be committed to fostering sustainability in infrastructure and learning. The Innovation in Design in Engineering and Architecture (IDEA) project amplifies this commitment. Dalhousie facilitates active transportation through discounted transit programs, free bike rentals, and end of trip facilities. Wonder What Waste Goes Where? Interested in Bike Safety & Repairs? 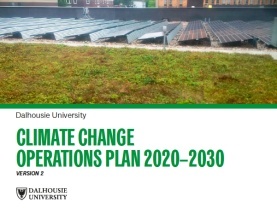 Check out our many useful resources that will teach you how to organize a sustainable event, top of the line waste management practices, and how you can help us minimize the impact of climate change at Dalhousie.